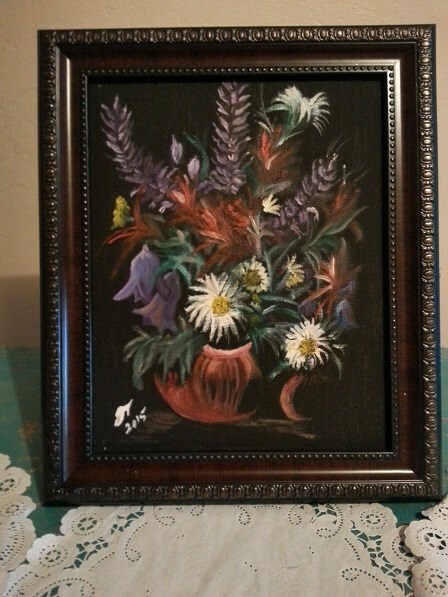 8x10 original acrylic and oil painting in a gallery designed frame. $25.00 Hurry, only 1 remaining! Sorry I'm Away for three months Vacation. You can Contact me for any questions. Thank you, Please come Again! 8x10 original acrylic and oil painting done on canvas panel board framed in a custom gallery design frame with intricate details so classy and pretty. This painting was completed in 2014 and initialed on the front. I custom package for safe shipping. Thank you for viewing. Come visit again!